FNB's competition remains the banks rather than telcos, says CEO Jacques Celliers. First National Bank (FNB) spent big money and time to get its mobile virtual network operator (MVNO) off the ground. This is the word from FNB CEO Jacques Celliers, speaking at the bank's innovators media briefing this morning. He noted the bank "paid a fortune" to launch FNB Connect. Although Celliers would not disclose the exact amount spent to rollout the bank's mobile offering, he said: "This was a big-scale project which included big teams, big infrastructure to build what we have built inside the FNB ecosystem - this cost a lot of money. "Our competition is not the telecoms industry; our competition remains the other banks. We're not trying to beat the telcos but just add value proposition for our customers," said Celliers about the mobile operator-like product. FNB will continue to invest in the mobile offering, Celliers added. Last year, FNB became the first South African bank to launch a mobile offering available to its customers. Since its launch, the service has attracted more than 200 000 customers, according to the bank. The service, which was first piloted to include prepaid, contract and top-up offerings, now allows FNB customers with a Connect SIM to access electronic banking platforms, such as online banking, the FNB app, cellphone banking and eWallet without incurring any data charges. According to FNB, LTE has also been enabled on all Connect SIMs. Customers with LTE devices can access the fast network in Gauteng, Western Cape and KwaZulu-Natal. To re-energise and continue on the path of being a disruptive bank in SA, FNB has appointed Yolande Steyn to head up the bank's innovators programme. 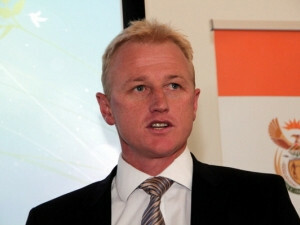 Steyn previously led FNB's mobile money solution, eWallet. According to Steyn, there is a lot of rapid disruptive change in the world and the financial industry is constantly challenged to keep up. "Mobile telephony is changing and in turn driving the change we see all around us. The mobile story is driving a lot of the disruption." She added: "...radical or disruptive innovation needs to have a significant impact on the market and on the economic activity of organisations within that market. "Radical innovation serves as a guide for us to become and remain top of mind to our customers when it comes to any financial services value propositions or solutions." Meanwhile, a recent survey conducted by insights agency Columinate named FNB as SA's best digital bank. Now in its fifth year, the Internet Banking SITEisfaction survey measures customer satisfaction with digital banking services in the country. The report focuses exclusively on Internet and mobile banking, and reveals the behaviours and experiences of online customers. The study posed questions to some 10 000 Internet banking users, focusing on the trends that shape SA's digital banking industry. This year, Columinate created a new category called 'best digital bank' and FNB emerged as the winner in the category, scoring 81 out of a possible 100. Henk Pretorius, chief executive of Columinate, says: "FNB's dominance is clear across all areas of the digital banking experience. FNB delivers a better experience compared to other banks in almost all of the key drivers of satisfaction in online banking. FNB also consistently had the highest feature usage among its customer base." FNB's eWallet service, which is available in five of the seven African countries where the bank operates, is regarded as one of the largest bank-led mobile money solutions on the continent. The bank says 6.7 million people have received money via eWallets, with R1.4 billion being sent to recipients via the mobile money solution on a monthly basis. Since launch, R33 billion has been sent to eWallets, according to the banking institution. Following the rollout of the tap-and-go function at Engen stores last year, FNB says it is working on rolling out the service at various merchant stores this year. Last June, FNB converted 20% of its credit card customer base to contactless - or near-field communication technology - and introduced new cards with tap-and-go payment functionality. At the time, FNB said 400 000 credit cards that have the tap-and-go payment functionality are being used in the market. According to Celliers, so far the bank is impressed with the progress of the tap-and-go capability. "We are chuffed with the progress. We are hoping to have two or three or even 10 of the big local retailers use this service." Consumers want it; the merchants have to get on board, stated Celliers.